SPOKANE, WA--(Marketwire - January 7, 2011) - "Mountain Gear Presents: Red Rock Rendezvous" rock climbing festival for its eighth annual event, March 18-20, 2011. The festival takes place at Red Rock Canyon National Conservation Area near Las Vegas. This year's event is limited to the first 1,000 registrants and early registration is recommended. To register, visit www.RedRockRendezvous.com. All festival activities, outside of the climbing clinics, will take place at Spring Mountain Ranch State Park located approximately 10 minutes from the entrance to the Red Rock Canyon National Conservation Area. Participant camping returns to Spring Mountain Ranch. Space is limited and early registration is encouraged. 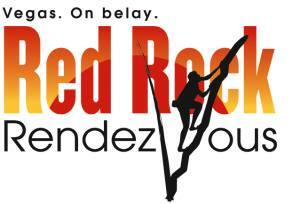 Red Rock Rendezvous offers rock climbing clinics for all abilities. Registration is $99 per person for Saturday and Sunday events, and $179 per person for the Friday "Intro to Climbing: UClimb" day (without the gear package) taught by professional instructors and includes the Saturday and Sunday events. All registration packages include the Friday night opening celebration featuring a slideshow and movie, Saturday night dinner buffet and blow-out party, demos, comps and mini-seminars by sponsors, pancake breakfast Sunday morning and service projects assisting the environmental conservation of the Red Rock Canyon and Spring Mountain. Red Rock Rendezvous also offers trail running and mountain biking clinics teaching basic skills and how to read off-road trails. These specialized clinics packaged with the climbing clinics are $159 and includes the rental of a mountain bike provided by Specialized Bikes. Event proceeds benefit The Access Fund, a national non-profit organization dedicated to keeping climbing areas open and conserving the climbing environment. Other benefiting organizations include the American Safe Climbing Association, the American Alpine Club, Friends of Red Rocks and the Las Vegas Climbers Liaison Council.